The trend may be dying off now but I think I've only just cottoned on as to the real reason why many of us men-folk took to growing lumberjack beards in recent times. It wasn't because of a sudden upsurge in the UK's logging industry nor was it, for the most part, a sign of empathetic kinship with our Ethiopian nose-flute loving hipster brethren across the pond. The truth, I wholeheartedly suspect, stems from a much more banal place - shaving can simply be something of an unenjoyable chore. Every minute spent grooming each day, of monotonously dragging a razor across our faces, is a minute not spent playing Football Manager or re-watching Agents of S.H.I.E.L.D. Yet, it doesn't have to be that way. Whilst the temptation may be to simply try and get through a shave as quickly as possible, to use a disposable Bic, the effect is often counter-intuitive. Rather than feel refreshed and clean, a bad or rushed shave can leave our skin red and inflamed. Instead of receiving the confidence boost a decent treatment can gift us, our mood matches the irritation seen clearly on our faces. We should, then, aim to savour the time we spend shaving and consider it a pleasant indulgence - indeed, this is quite easy when approaching our grooming sessions with this state of mind and with the right tools in hand. Having previously written of my fondness for professionally administered cut-throat experiences, I noted my fear of attempting such a shave at home by myself. I barely trust myself to successfully pick a Fantasy Football team, let along wield a sharp implement dangerously close my trachea. 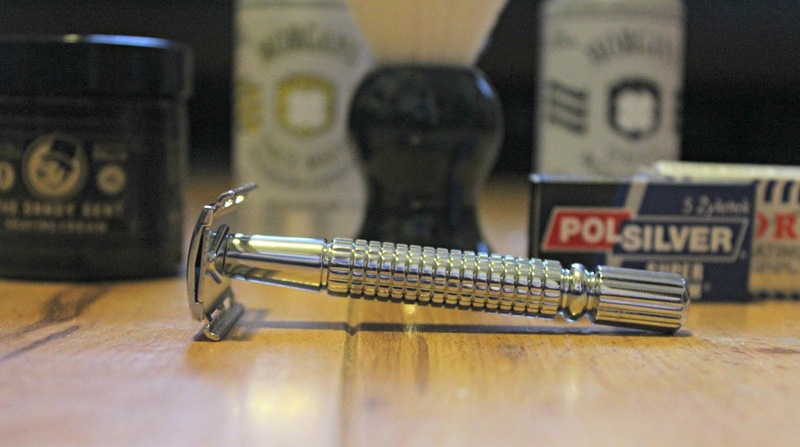 As such, I was delighted to receive an email from The Personal Barber who noted of their double-edge safety razor which "provides the close and comfortable shave of a cut-throat but with a safety bar to prevent it from being scary." This sounded too good to be true but I was keen to try. The company are a male grooming subscription service "focusing on the traditional razor and brush style of shaving" - the antithesis to my teen years "hack and go" approach which consistently left my face sporting a multitude of tiny cuts. This is a subscription box, then, for the true, old school gent who aims to savor his shaving experience (available at £24.95 per month on 3, 6 and 12 month packages). The first box, the one which will be the subject of today's review, contains all the essentials needed for a luxury shave. 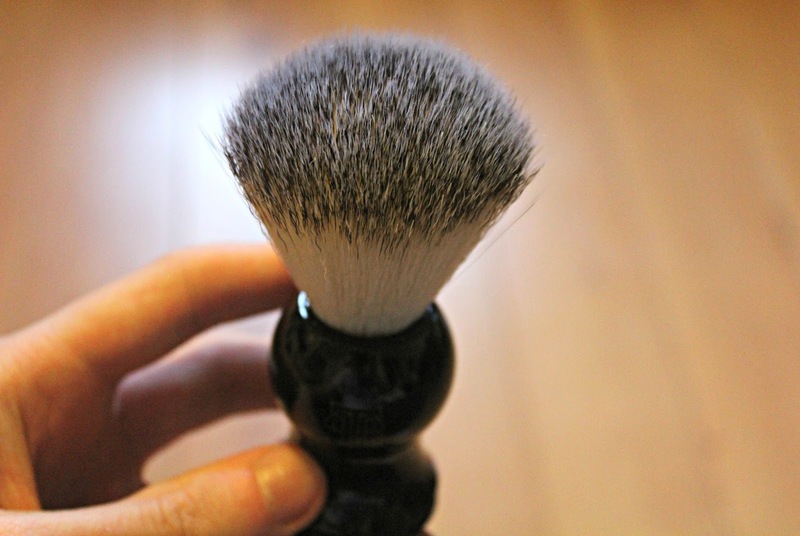 Alongside the aforementioned double-edge safety razor, an implement which oozes of class, the initial delivery also contains a shaving brush, soap/cream, blades, face wash and moisturiser. As a starter pack, this is pretty substantive, but each subsequent month, The Personal Barber will send out new items to enhance and complement your grooming collection - pre and post shave balms, colognes, alums, oils and related miscellany will each be included. 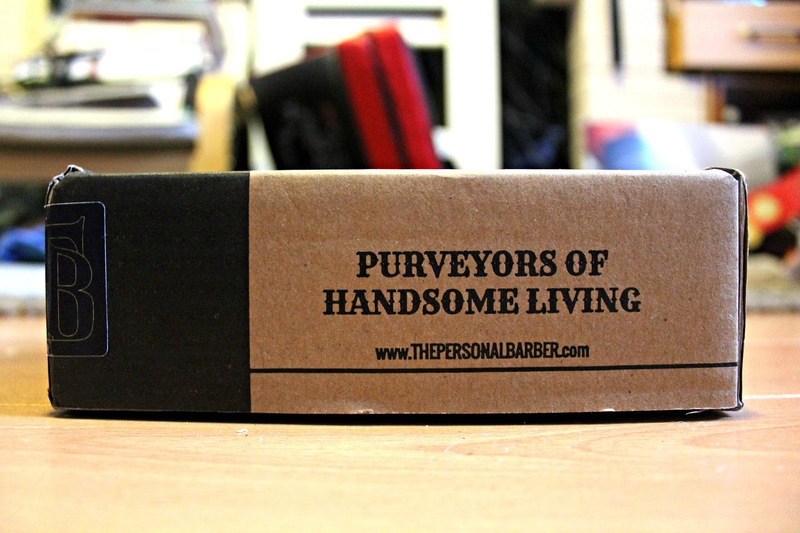 So, to return to the box I received - outside of my initial impressions of the items each boasting a rather sophisticated aesthetic, could The Personal Barber really fulfill their goal of making shaving a pleasant, even enjoyable, experience? Does the double-edge safety razor really deliver on its promise of the closeness of a cut throat? As any grooming connoisseur should know, a successful routine begins not with the razor itself but with a pre-shave ritual to cleanse the skin, So, whilst I'll return to the question of the razor itself later in the article (spoiler: it's brilliant), it would be remiss of me to not talk through each of the stages in turn to highlight just how spot on The Personal Barber has got their box for every step of the stage. 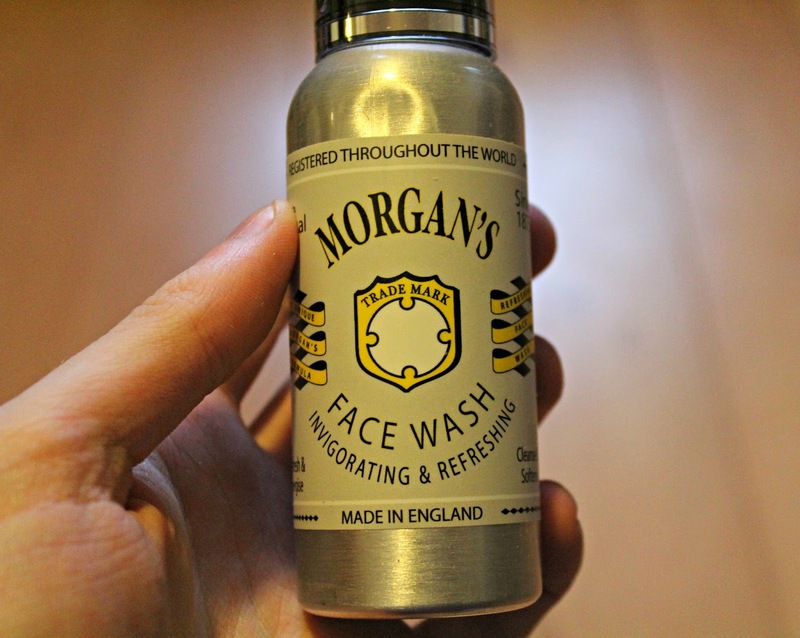 To prepare one's skin, the company have provided a canister of Morgan's Invigorating & Refreshing Face Wash. 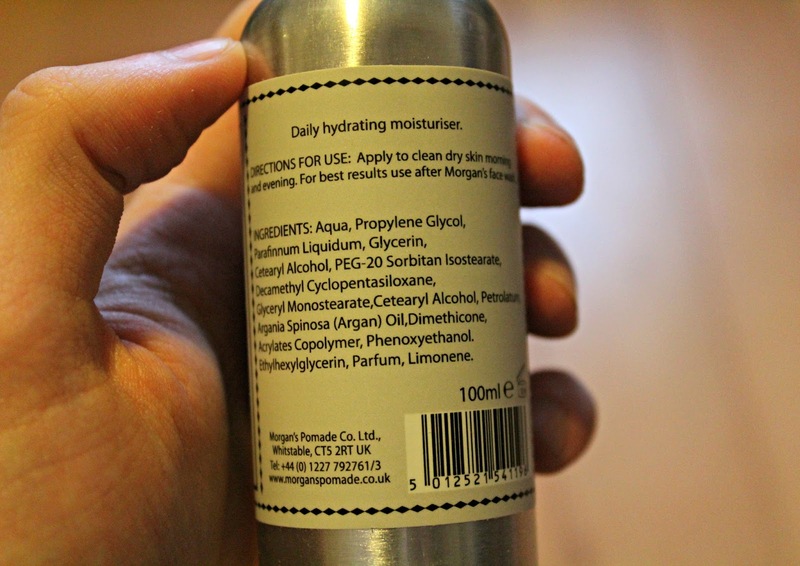 The brand's own website lists this 100ml bottle as retailing at £9.50 and, as such, really brings into context the value one gets when subscribing to The Personal Barber. 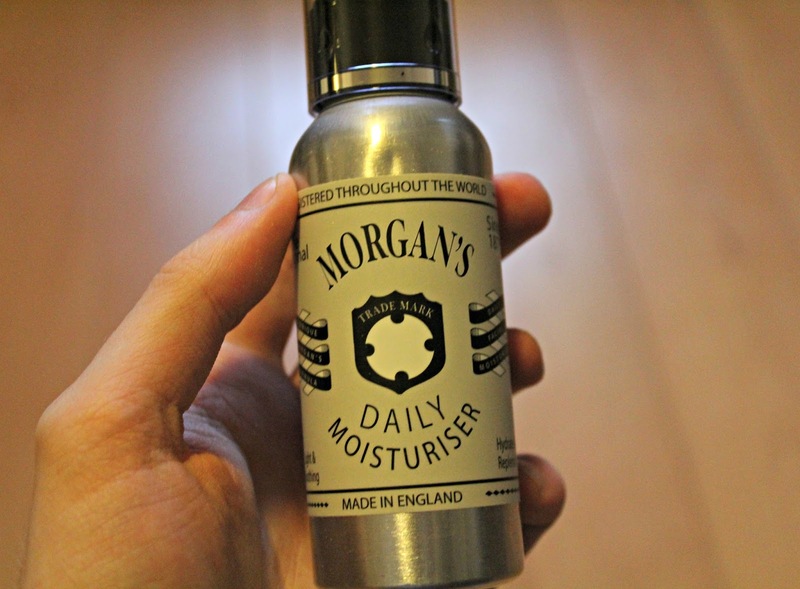 The combined cost of the two Morgan's products (the second of which, a moisturiser, I'll return to at the end of the post) would add up to almost the entire cost of the subscription by themselves. Whilst the face wash itself was rather grand, the bottle itself represented the only complaint I am going to make during this post - its a rather trivial one, too, I must confess. Whilst attempting to remove the cap, the nozzle would come out at the same time as if they were connected. This meant that squirting the face-wash out through the nozzle became impossible but, like an adult, I was able to improvise a solution. The wash itself offers a deep and thorough vitalising cleanse. I'd also take this time to note that it provides an understated aroma too which aids one's feeling of freshness long after the shave has been completed. The Dandy Gent are the folk behind the Shaving Cream in this month's box - a look at the design and branding and it's clear where this traditional-look product fits into the collection. It's the type of item that wouldn't look out of place at an apothecary (which, in no uncertain terms, is meant as a top compliment). The 50ml is ultra-concentrate - I'd expect this to last a rather long-time. The scent is complimentary to the face-wash (and, as such, is a credit to the curatory skills on display here), and boasts an always pleasing lemon-esque aroma. The brush, used to apply the cream of course, is a soft as one could imagine - perfect for spreading the cream evenly across one's face. The ease of consistent application was notable and this is a suitably handsome addition to the box. 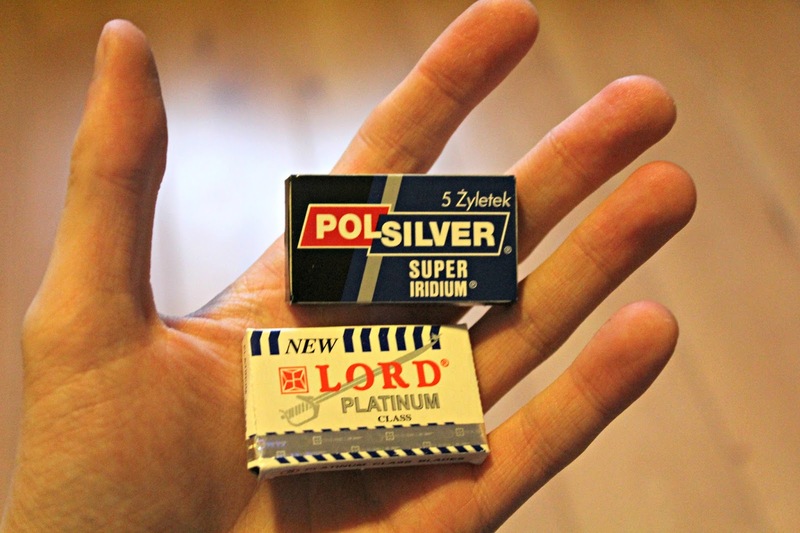 This month's box features two packs of razor blades - Lord and Polsilver. So far, I've only utilised the former and (as I will attest below), I was suitably impressed by its effects. I can't ever imagine going back to a disposable razor ever again as the efficacy of these blades is remarkable - they're essentials I didn't even know I needed until I tried them. 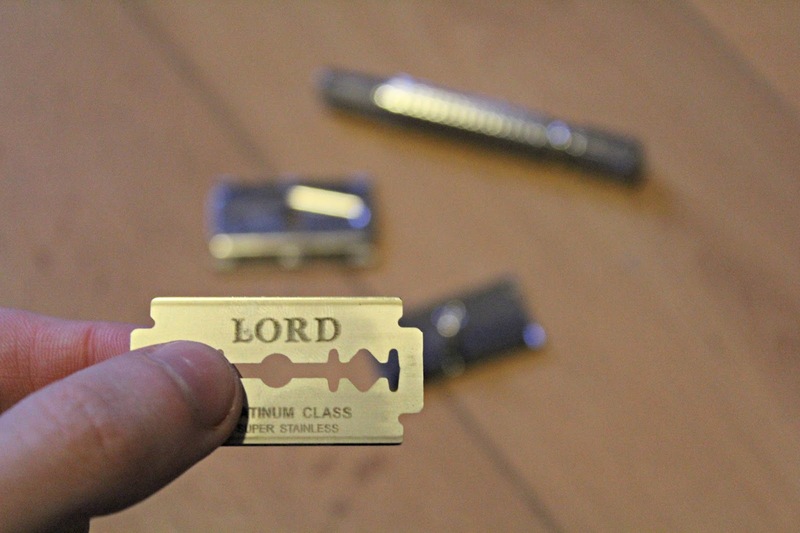 For my first shave with the subscription box I used one of these old school Lord razors. Doing so could not be more straightforward - The Personal Barber's double edge safety razor unscrewed with ease, allowing for the insertion of the blade. To me, this was the clear highlight of the entire box - the high claims that the razor would allow for a shave akin to that of a cut-throat (but without the fear of death) were entirely accurate. Ergonomically designed with a curved top so as to encourage the user to apply the blade at an angle (rather than to simply hack downwards and run the risk of cuts), I found myself paying more attention to my shave than I have in the past and was rewarding with a quality experience and, essentially, finish. The reason the company the company has chosen their name as The Personal Barber becomes apparent: Outside of professional treatments, I can't remember ever having such smooth skin at the end of a shave. I would go as far as to suggest, entirely hyperbole free, that the razor contained within this box is the best I have ever owned (and by some distance too). The final item in the package comes in the form of a post-shave moisturiser. As mentioned earlier, this is the second item sourced from Morgan's. My face has felt smoother than I've ever previously achieved at home - thanks to the use of the single blade razor. As such, this post-shave moisturiser, with the aim of conditioning and further improving my skin, is a welcome addition. 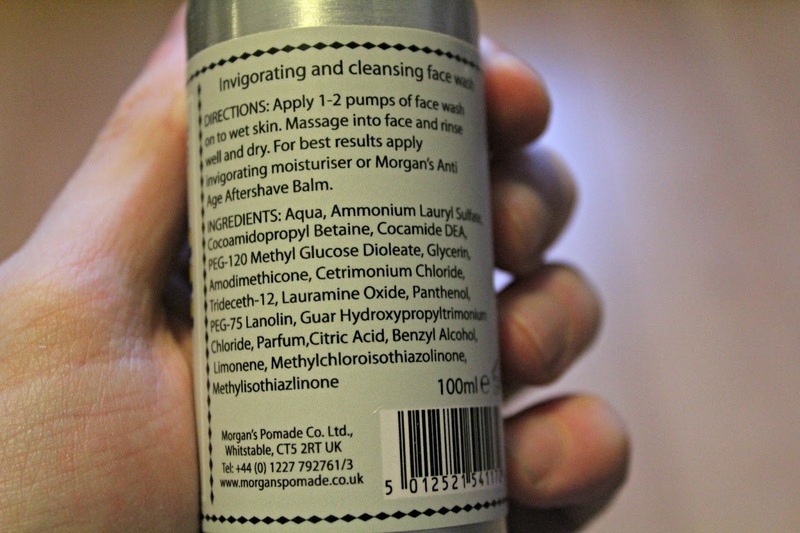 Unlike the Morgan's face-wash, the cap and nozzle issues were non-existent here. What I did find, though, was a soothing balm which (under the first couple of uses) has acted as a fine combatant to the dry skin I often find accrues on my forehead and around my nose. The mouisturiser marks the final step of a shaving process which has helped me feel revitalised and re-energised. Rather than feel I've wasted my time when I could be doing something better (i.e. watching classic Yeboah goals on Youtube), I've enjoyed each occasion so far when I've taken the time to indulge in a classic shave. It feels like pampering instead of a chore. The box represents fantastic quality overall, its a wonderfully curated collection of shaving essentials, and the double edge safety razor is the best I have ever owned. A real joy. Got to agree here Mr Glenn!